Life does not have to be a long night of captivity, poverty, sickness, or sin. Because of Jesus, the midnight hour is over. The Son of God has risen. It's a new day! Leave the old life behind with its shame, guilt, and unworthiness. Learn how to step into everything God has provided for your new life—protection, prosperity, healing, and more. You have been raised to a new life in Christ! 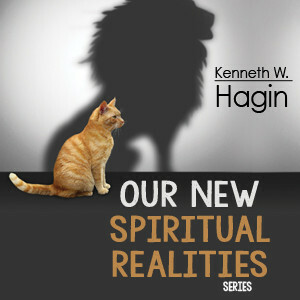 In this 3-MP3 series, Kenneth W. Hagin shows how God's promises are yours. Discover the stabilizing power of the Word of God as you step into the abundant life Jesus opened up to you. God wants you to walk in this new way and enjoy it fully. Don't do without. Don't hold back. Enjoy the new life!